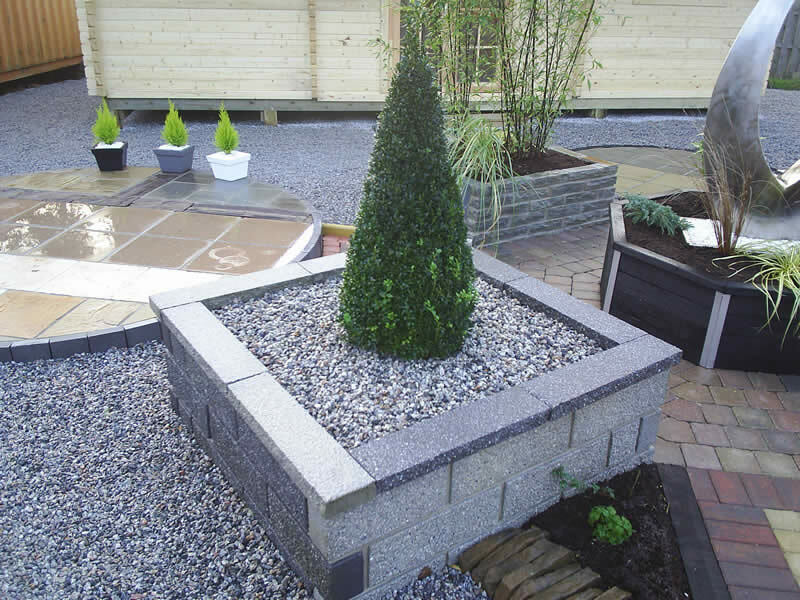 Are you looking to add a patio to your garden or update an existing one? We have five of the best garden patio ideas to give you all the inspiration you need! Installing a stunning patio is one of the most effective ways to transform your outdoor space, whatever its size, shape or style. By incorporating attractive paving into your garden design, you can create an area that’s both functional and a delight to look at. Patios are ideal for entertaining guests, dining, relaxing, sunbathing or simply enjoying the fresh air. They’re comfortable to walk on and require little looking after. 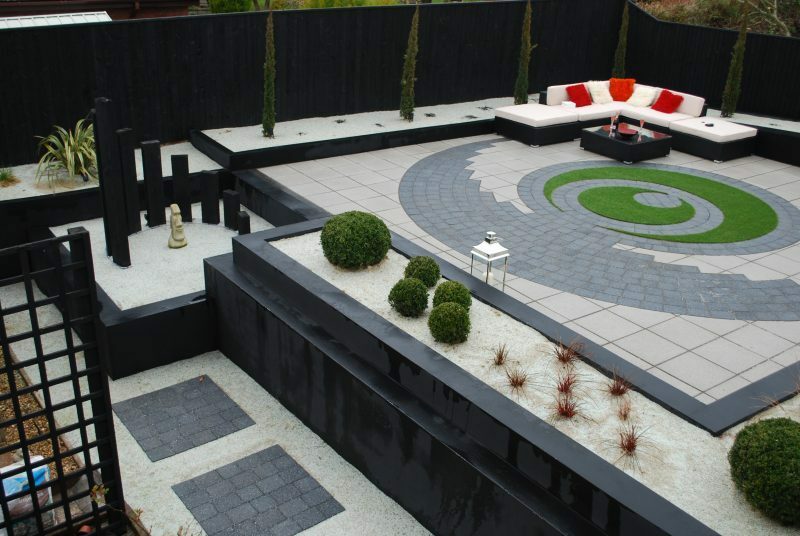 Add some bespoke garden furniture and planters and you’ll be the envy of all your neighbours! What’s more, the best patios are showpieces that boost the value of the properties they adorn. To help you create the perfect patio, here’s a selection of our favourite garden patio ideas. To do justice to your patio design, choose superior natural paving made from granite, marble, porcelain, sandstone or slate. It’ll not only make your patio elegant but also provide a hardwearing ground covering for years to come. Standard patio flags can’t compete with high-quality paving’s array of textures and colours. Lightly riven slate or delicately patterned marble, for example, adds style to any outdoor space. 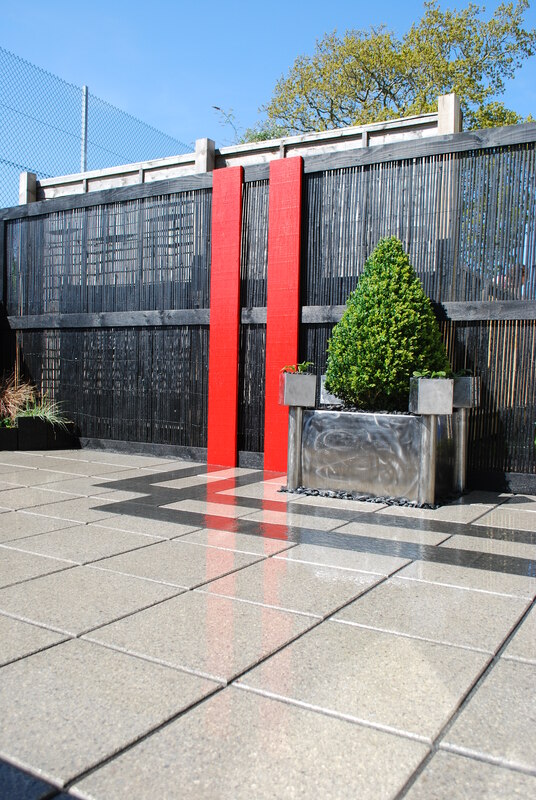 Ensure your patio is magnificent, not mediocre, by laying luxury paving. When you think about patios, you probably envisage square or rectangular paved areas. Some homeowners like their gardens to have a conventional appearance, and there’s nothing wrong with that. But if you fancy being adventurous, why not install a circular garden patio or one that brings together sharp angles and sweeping curves? For a cutting-edge garden patio, consider laying bright paving alongside a very dark option. The stunning contrast between Fairstone Granite Eclipse’s light and graphite shades, for instance, is perfectly suited to patios in ultra-modern settings. Who wants a bland patio? You can ensure that yours has plenty of visual impact by including one or two stylish surprises in the design. Popular motifs include stars and suns, while we’re particularly proud of the two eye-catching patios below. Patios are perfect when you want to soak up some rays – but the fun doesn’t have to stop when the sun sets. Make your patio just as inviting at night as it is during the day with the help of lanterns, spotlights and fairy lights designed for outdoor use. 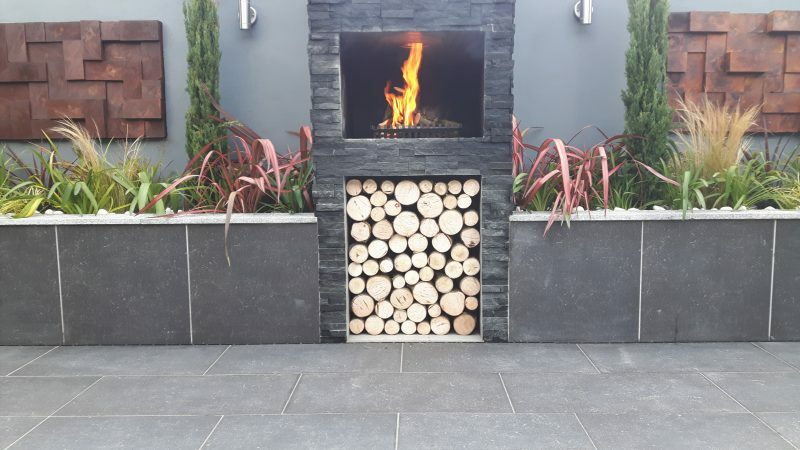 Patio heaters will keep you cosy as the temperature drops – or you could install a gorgeous bespoke log fire instead. This garden’s owners certainly won’t feel the cold during evenings on the patio! When you want your garden to look as good as possible, it’s crucial to ensure that the design and installation of your patio are first-class. Our comprehensive Devon patios and paving service takes you all the way from initial idea to finished patio. 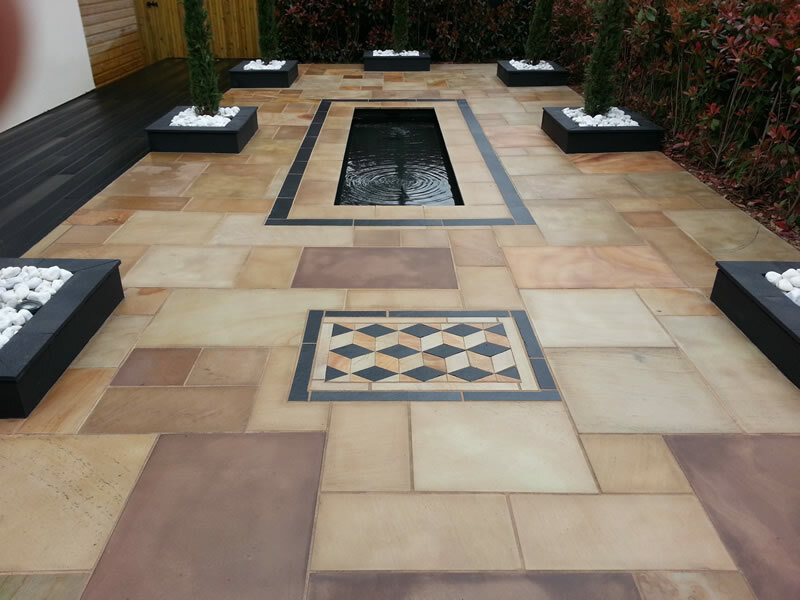 We’re proud to be approved installers for Marshalls, Natural Paving and Tobermore products. What’s more, our flair for sophisticated patio design and high-quality workmanship has prompted Marshalls to honour us with a patio transformation award. 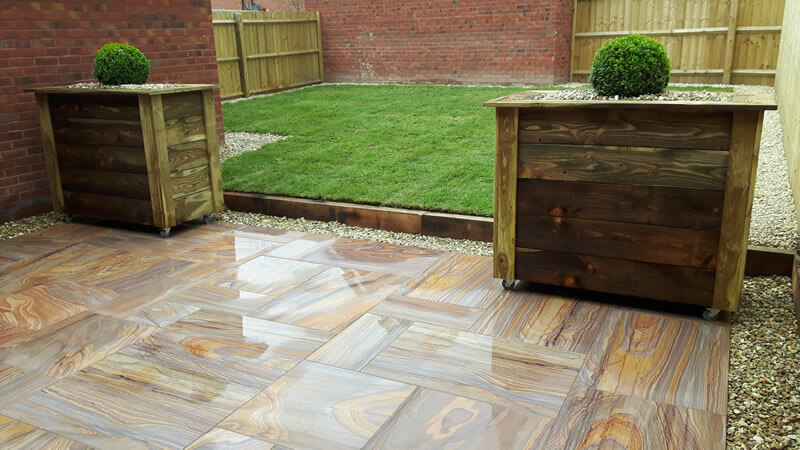 To find out more about our patios and paving service or request a no-obligation quote, please call Jackson’s Landscape Design today on 01626 332533 or contact us online.